‘Love is Blind’ is the good-natured story of Brodie Moncur, a young man from Scotland who has a great ear for tuning pianos. This gift takes him to Paris where he tunes the pianos for the famous concert pianist John Kilbarron, “the Irish Liszt”. At the same time Brodie is tuning pianos, he falls madly in love with Kilbarron’s lover Lika Blum. This rollicking tale takes place during the early days of the twentieth century in various locales including Edinburgh, Paris, St. Petersburg, Nice, and the Andaman Islands. This is a light-hearted adventure yarn not to be taken all that seriously. Even though piano tuning is usually not considered adventurous, I would still call ‘Love is Blind’ an adventure novel. I have read several of William Boyd’s previous works. I was tremendously impressed with his first two novels that I read, ‘A Good Man in Africa’ and ‘The Ice Cream Wars’. Boyd seems to specialize in high-spirited adventure stories in exotic locales. Over the years I have read a few more of his novels and always prick up my ears when I hear he has a new one out but do not always get around to reading it, but this time I did make room for ‘Love is Blind’ in my reading routine. This time around, William Boyd kept me entertained for the full length of the novel with humor and adventure, but I guess I was looking for something more than entertainment. For me, ‘Love is Blind’ lacked intensity and depth. At the heart of the novel is the clandestine romance between Brodie and Lika and its complications. They must sneak around behind the backs of the pianist Kilbarron and also his brother Malachi. For one thing I did not find the romance between Brodie and Lika convincing. They meet and instantly fall totally in love for no good earthly reason. Perhaps that is true to real life, but in a novel there must be compelling reasons for a love affair to happen. I realize there is a difference between a fiction being light-hearted and humorous and a fiction being intense and deep. Perhaps a writer must stay on the surface in order to keep things light. I just think that depending on the dexterity of the writer, it should be possible to be both amusing and intense. But maybe I am wrong. I have a copy of this, and am still undecided about whether to read it. (The TBR is, of course, monstrous). 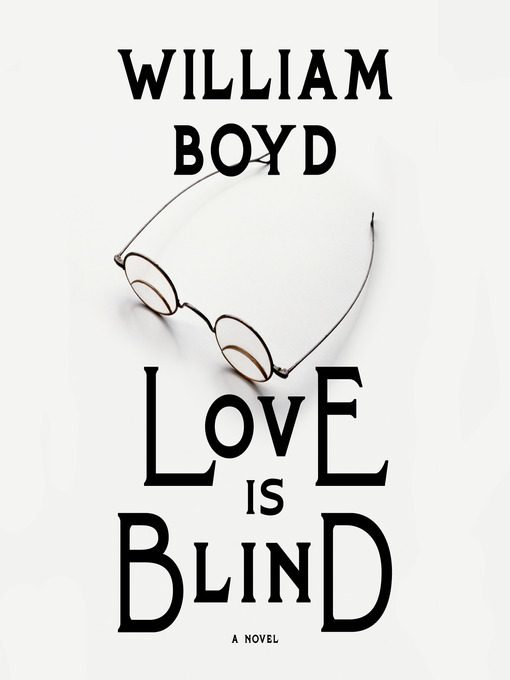 The Guardian called ‘Love is Blind’ brilliant and a return to form for William Boyd. I have my reservations as indicated above. I thought it might have been a little too light. I decided to read it as a lightweight foil to the more demanding Atheist by Achdiat Mihardja… I wouldn’t call it brilliant either (or go into raptures like the review in The Oz) but it’s a competent novel which I quite enjoyed for relaxing bedtime reading. The hoopla from the reviewers reminds me of the fuss over All That Is, by James Salter, which was quite ordinary really and I wondered why it had so much column space displacing other more worthy Australian novels. I thought the early work of William Boyd was superb (‘A Good Man in Africa’, ‘The Ice Cream War’), but lately I have found his work only competent. I am not one of those who believes that a novelist just gets better and better with each novel. There are many writers who write their best work while young.